Joiner Creek Tract with Cabin Land for Sale in Dodge County, GA.
- Country Living on 98 Beautiful Acres with Home. Known for its delicious juicy peaches and deeply rooted history in the cotton industry, Georgia is a family-oriented state that welcomes new guests and residents with arms wide open. Georgia is a state that appeals to outdoor enthusiasts, farmers, urban dwellers, and maritime professionals alike, thanks to its diverse geography and close proximity to the Atlantic coast. If you are looking to purchase a piece of land for recreation, home building, farming, or just as a commercial investment, Georgia offers a variety of different land options to suit your needs. Georgia was the 13th original colony of the United States before it became an official state in 1788. It succeeded from the Union in 1780 to join the Confederate States and was heavily involved in battles of the American Civil War. Although Georgia was a hot spot for cotton production during the height of the cotton boom, most farmers worked their own farms and plantations as opposed to utilizing slave labor. Later, Georgia would become the epicenter of the Civil Rights Movement and the political home base of activist Martin Luther King Jr. In 1996, Atlanta, Georgia received the honors of hosting the Summer Olympic Games. Aside from peaches, Georgia is also America's top producer of nuts such as pecans and peanuts, as well as sweet onions. Atlanta is home to the world's largest drive-thru restaurant, The Varsity, which accommodates 600 vehicles at one time. Savannah, Georgia is considered to be one of the most haunted cities in America thanks to a historic influx of deadly diseases, it's gruesome Civil War battles, and savage murders of the 1800s. Savannah offers several ghost tours where you can learn about some of the famous residents of times past. Georgia is the largest state east of the Mississippi River, by land mass, and the top major cities include Atlanta, Columbus, Savannah, Athens, and Sandy Springs. Randstad USA and Coca-Cola are the biggest employers in the state. What Kind of Land Can I Buy in Georgia? From woodland plots filled with trees, lakes, and streams, to wide open spaces fit for a thriving farm, Georgia is a place for land buyers with big dreams and an appreciation for gorgeous places. You can purchase plots of land that range from 15 acres to over 300 acres and pay an average of $175,000 to $800,000 depending on how developed the land is, the natural resources available, and its proximity to the major cities within the state. Check out our listings where you will find hunting and timber grounds, developed and undeveloped farmland, cattle ranches, land that nudges up to the rivers and lakes of the region, vineyards for wine production, and more. If you love to fish or have a passion for being near the beach, keep land in Savannah and Brunswick on your radar. The Chattahoochee River is located on the western border of the state and is known for its fishing and hunting grounds, as well as miles and miles of land that is full of dense forests. The central regions of the state have an abundance of farmland that begs to be cultivated. Each year, Georgia plants and harvests over 1 million acres of cotton in the southern half of the state; check out land in this region if you have always wanted to invest in a cotton plantation. You can also try your hand at growing peaches in the Macon County region when you snag up a parcel of prime agricultural land offered in this region. 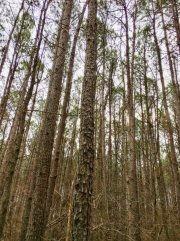 Georgia has land offerings available for anyone who is interested in owning their own piece of southern heaven. 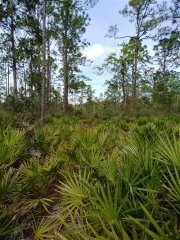 Whether you are interested in taking up farming, would like to upgrade to a bigger land parcel, have an interest in running cattle, or would like a relaxing wilderness plot to retreat to on vacation, Georgia has you covered. Want to see your Georgia property listings on Land Broker MLS? Join our co-op by signing up today!